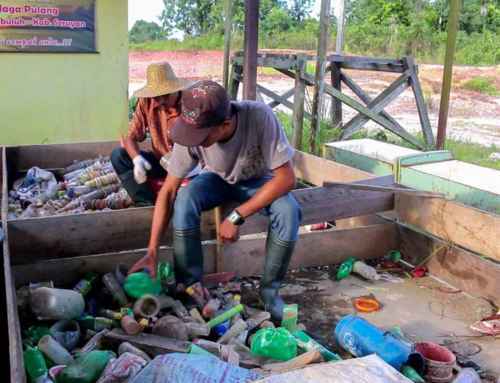 Most of us wouldn’t think twice about reusing most of the waste we throw out each day. 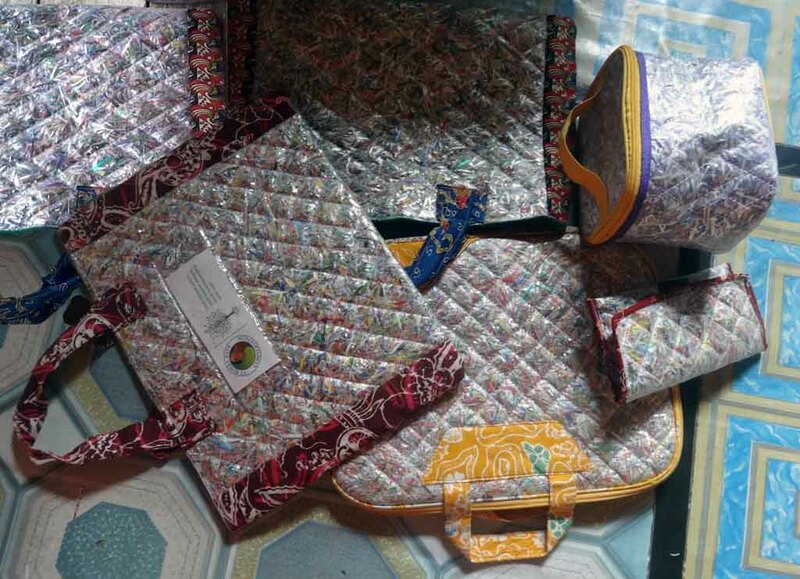 But to the women of Telaga Pulang village in Central Kalimantan, something as simple as shiny paper packaging, coffee powder sachets or old fabric can be turned into decorative and useful goods that can be sold for extra income. 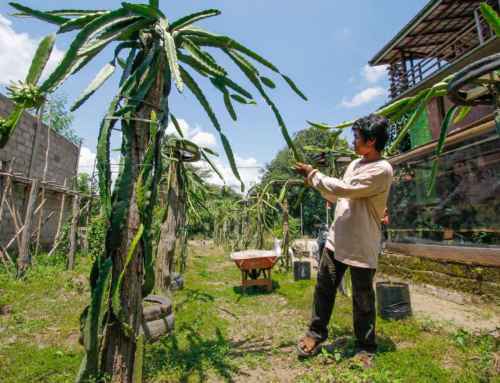 When the village elected to join up with Rimba Raya Conservation, villagers said they wanted assistance to expand their livelihood options. Fishing is on the wane as catches from the adjacent Seruyan River decline and many in the village now rely on jobs at neighouring palm oil plantations. 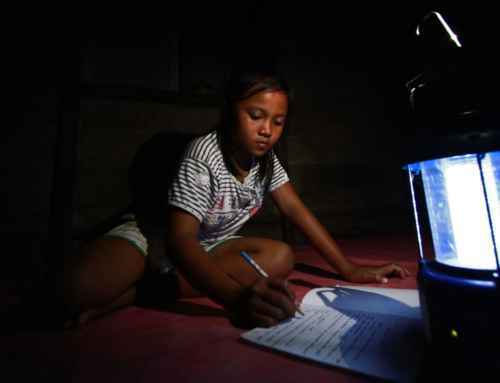 But the incomes from palm oil firms, while welcome, are often not enough to cover daily needs. 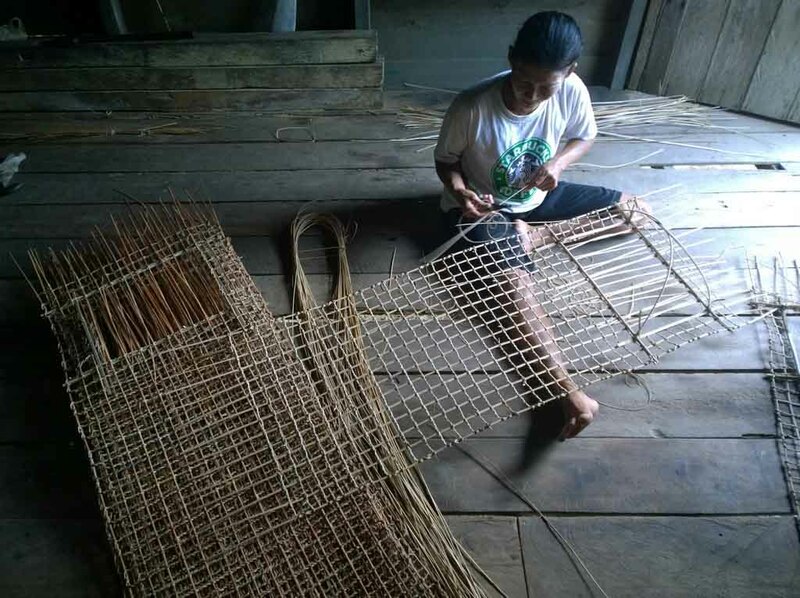 With Rimba Raya’s help, the villagers turned to something they are naturally good at – making attractive handicrafts out of simple materials. 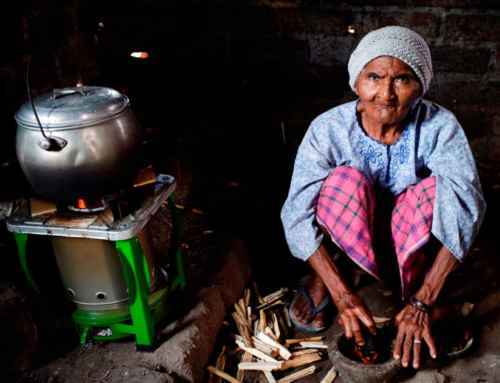 In less than a year, a group of women from the village have created a cooperative that sells their goods to local markets and as far away as Bali. 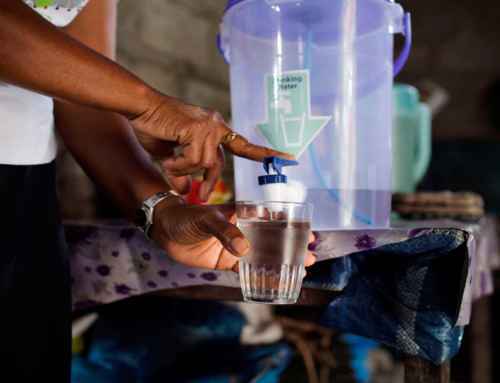 They source much of their materials from the village’s successful Recycle Bank recycling centre. 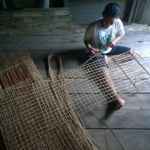 Rimba Raya is expanding the handicrafts programme to other villages and it is limited only by the imagination and materials available. 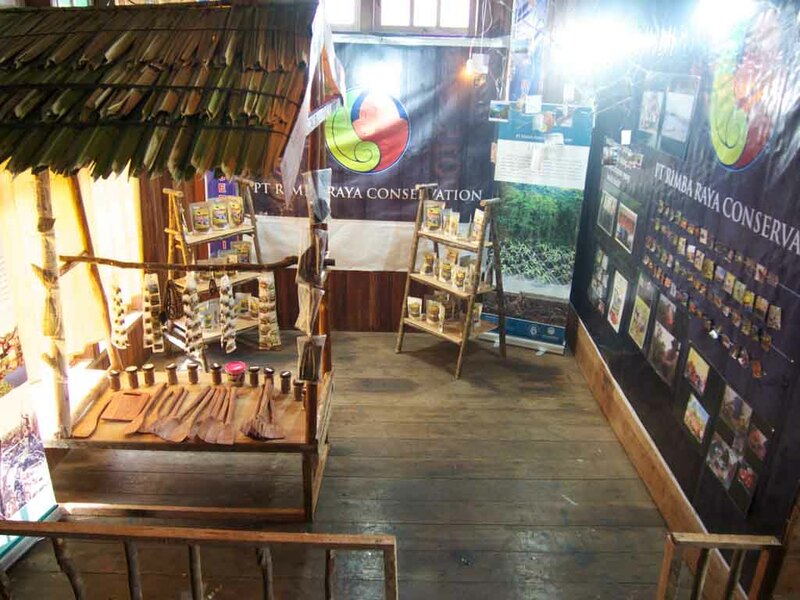 Down river, the village of Muara Dua has enthusiastically chosen wood-working using recycled timber. 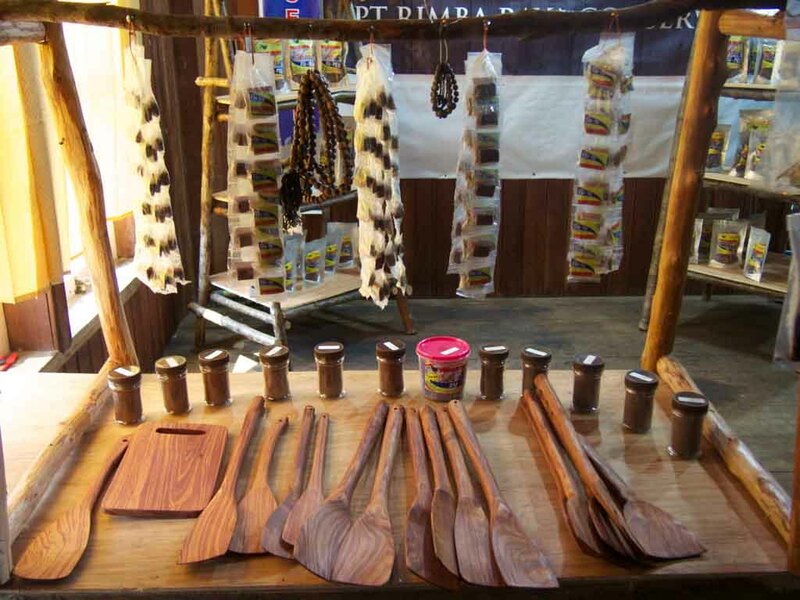 Rimba Raya has provided tools and training to local craftsmen to make everything from tables to kitchen implements. 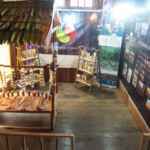 At a recent expo featuring crafts produced by different regencies of Central Kalimantan, Muara Dua’s woodwork proved a hit, with many of the items sold. 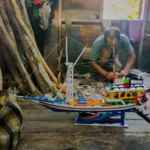 Pak Jarman, 53, is one of Muara Dua’s leaders and he embraced the idea of making rosary beads from local gaharu, or agarwood. The beads can be used for praying or, depending on the design, for decoration and jewellery. 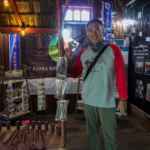 Agarwood is valuable and some villagers simply sell the raw material, often old or recycled timber, to dealers in bigger towns. The wood is then made into more expensive goods. 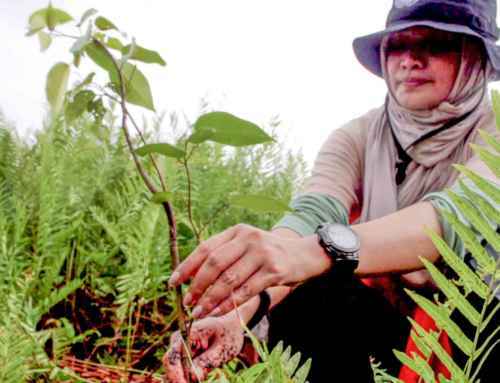 Rimba Raya suggested starting a local enterprise in Muara Dua using agarwood. Better for the profits and the jobs to stay in the village. 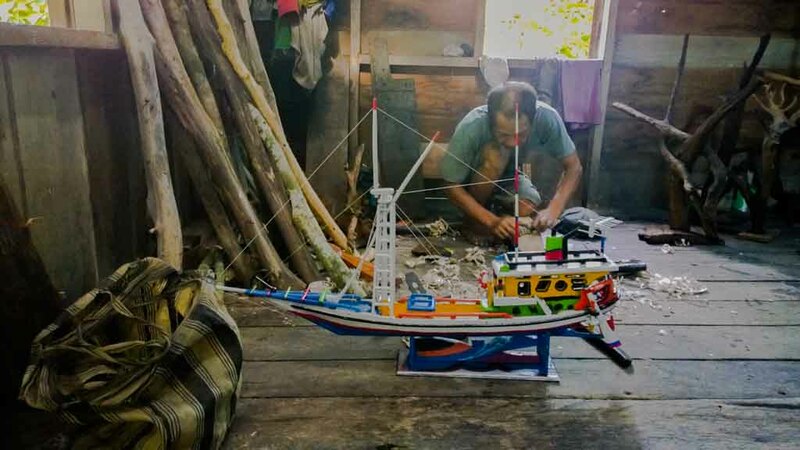 Pak Jarman started using basic tools to turn the wood into small rosary beads, then drilled and strung them together in a chain.But the work is laborious and Pak Jarman can make only about 36 beads a day, he explained recently as he manually polished the beads of a small rosary on the front porch of his riverside home. 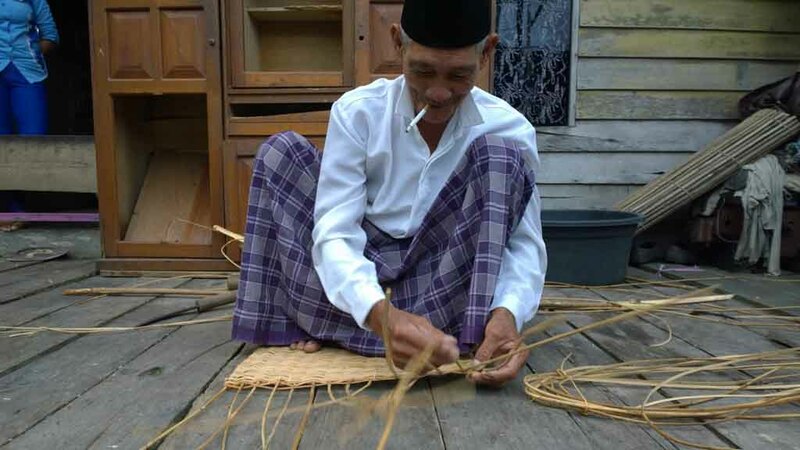 Rimba Raya has recently bought equipment that allows Pak Jarman to make about 1,000 beads a day, ensuring consistent size and quality – essential when the plan is to sell to Jakarta and eventually overseas. 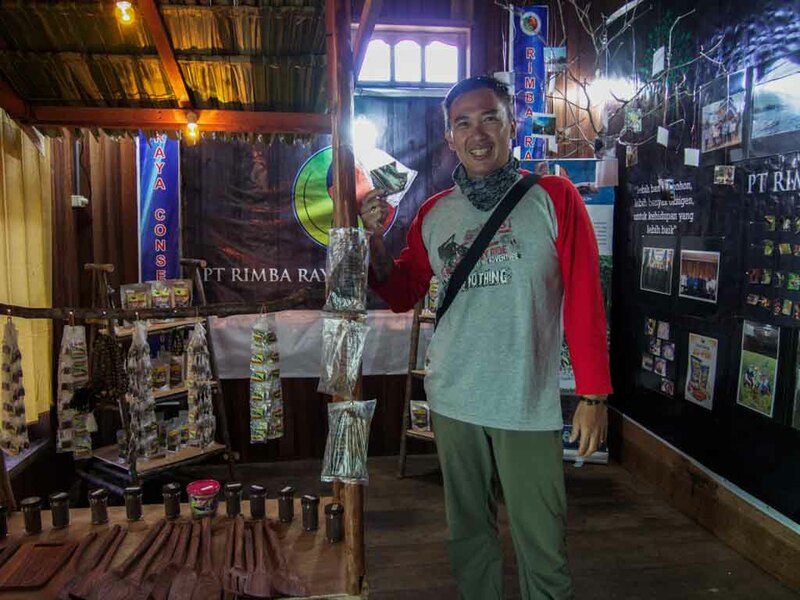 Ichsan Nasrul, who leads Rimba Raya’s programmes in the central region, one of the three regions in the conservation project, says raw agarwood fetches about 2,000 rp (about 15 US cents) per kilogram. 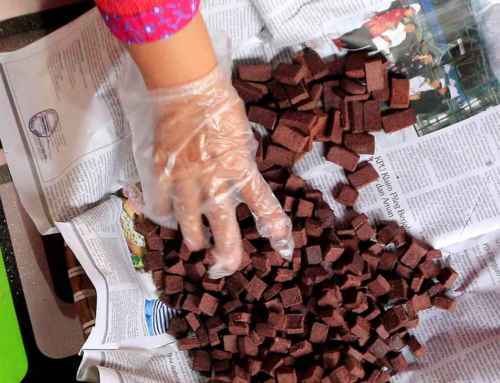 But for 1 kg, Pak Jarman can make several rosaries. 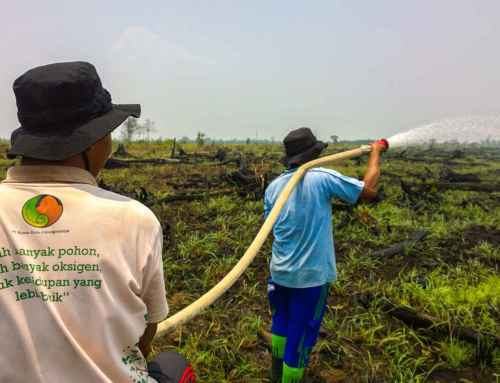 Pak Nasrul said a good quality agarwood necklace in the regional town of Sampit, in Central Kalimantan, sells for at least 300,000 rupiah ($23). 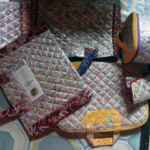 “This is a small thing but the potential income is very high. 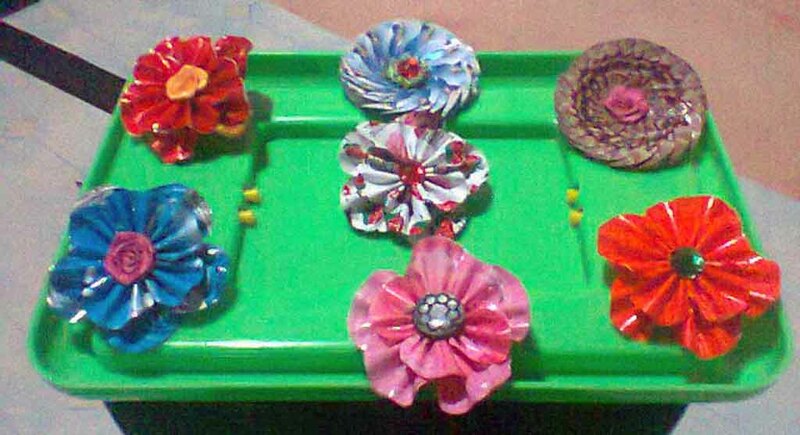 There’s a market for religion and fashion,” he said as we watched Pak Jarman at work. 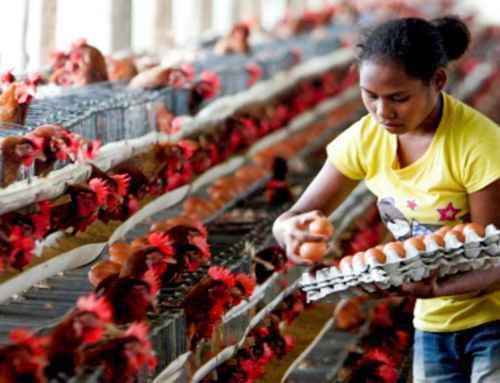 Pak Nasrul explained that it was important for the villagers to form cooperatives, or groups, to improve efficiency in making and sourcing of goods and materials. 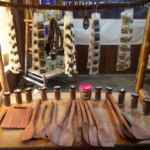 He said Rimba Raya was trying to create a series of cottage industries. It was important, he said, for the villagers to join different groups that support the different activities as a way to improve the bonds of each community. 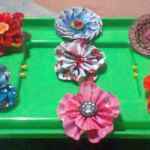 Increase in handicrafts sales, in 2016.